Welded undulating meshes, dissolved knots of space frames, brute steel, gracious forms—architecture, art or just construction; man-made or the result of algorithms and robots? 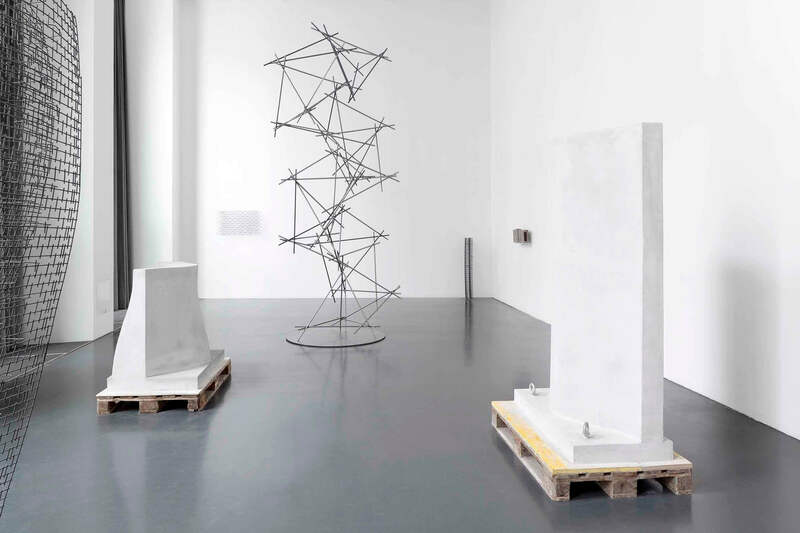 Reinforce Expose presents building elements that were robotically constructed at ETH Zurich by Gramazio Kohler Research, a pioneering group of architects investigating the potential of industrial robots in architecture. Aimed at provoking major shifts in the construction industry and the way we design architecture, the presented selection of objects serendipitously appears within an arts and design context tapping into the history of steel sculptures, defying their purely functional logic. Without traces of the robotic fabrication process, the mute objects are both strikingly profane and mysteriously complex. They are more than displays of realism and reinforcement cages, yet they share their fate. Destined to be hidden they are exposed, revealing the beauty of the inner forms of tomorrow. In occasion of the exhibition, the talk Swiss Talks #1 will be held by Casabellaformazione in collaboration with Istituto Svizzero. Since its inception in 2005 the research group at ETH Zurich led by Prof. Matthias Kohler and Prof. Fabio Gramazio has been at the forefront of robotics and digital fabrication in architecture. With their robotic laboratories and work that ranges from prototypes to building elements, they have inspired architects and researchers alike to explore the capacities of the industrial robot as a universal tool of the digital age.